Pakistan has been hunting for new attack helicopters to replace its aging American-made AH-1 Cobras. 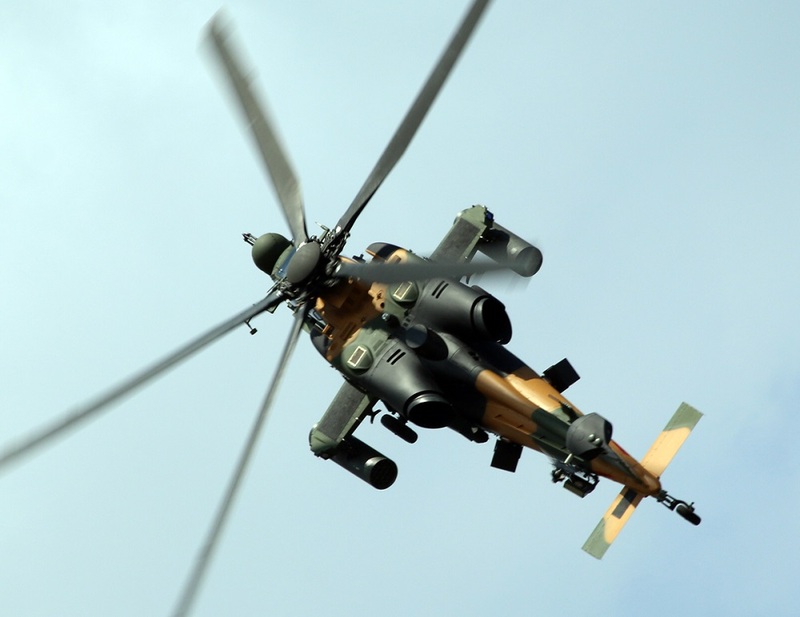 Now Turkey’s ruling party has confirmed that Islamabad has picked the T129 ATAK in what is the largest Turkish-Pakistani arms deal in history for 30 of the sleek, two-seat gunships. It’s also a loss — for China, which entered its Z-10 attack helicopter into Pakistan’s multi-year competition for its new helicopter. This means the Z-10, produced by Changhe Aircraft Industries Corporation, is back to where it started with zero export successes abroad beyond the three which Pakistan acquired for aerial trials. The T129 ATAK is equivalent to the U.S. AH-64 Apache and the Eurocopter Tiger, and is a Turkish-built variant of the Italian A129 Mangusta, which was first produced in 1983. The T129 is similar to its predecessor, the Mangusta, in many respects, although some differences include Turkish-made avionics, a new engine — developed in America (interestingly, for the canceled Comanche stealth helicopter) — and modifications for different weapons such as Turkish UMTAS anti-tank missiles. The most important difference is that the T129 is a bit faster, with a higher rate of climb and with 20 miles of additional range. Its service ceiling of 20,000 feet is also equivalent to the Apache — a very important feature for Pakistan as the primary use will likely be in counter-insurgency warfare in the mountainous western and northern parts of the country. Pakistan’s current attack helicopters are not cut out for that kind of work. The bulk of Pakistan’s gunships are AH-1 Cobras, which have limited capabilities and are more than 30 years old. “The [current 32] AH-1 helicopters have provided effective close support for our ground forces engaged in counter-insurgency operations, but they cannot be employed effectively in high-altitude operations above 8,000 feet,” Pakistan’s Maj. Gen. Nasir Shah said according to Jane’s. Italy’s A129 and Turkey’s T129 have plenty of combat experience in hot and high-altitude environments, with the Italians deploying A129s in peacekeeping operations in the Balkans, Somalia, Angola and in wars in Iraq and Afghanistan. Turkey has deployed its T129s internally in clashes with Kurdish rebels, and most recently within the Syrian province of Afrin in 2018 — where Syrian-Kurdish troops with the People’s Protection Units shot one down. Beyond the Cobras, Pakistan has four Russian-made Mi-35M Hind E attack helicopters delivered in August 2017. These heavily-armed and armored machines can operate above 8,000 feet — although it’s not clear if Pakistan will buy more now that T-129s are on the way. Pakistan also has 12 AH-1Z Vipers on order. These are a modernized variant of the Cobra and is currently in service with the U.S. Marine Corps. These helicopters also have an operating ceiling of around 20,000 feet.